Everyone has a favorite museum. It may be the Louvre in Paris, the Prado in Madrid, or the Guggenheim or the Met in New York. But no one likes high museum admission fees. Despite the fact that the Smithsonian Institute’s museums open their doors without charging admission, art experts have long argued the pros and cons of charging admission fees to museums. L.A. Times art critic Christopher Knight shared his views last year when he advocated for free admission to museums. Museums might say they’re interested in engaging new audiences, but sometimes it seems they’re actually eager to engage more paying customers. The Indianapolis Museum of Art, mostly free since 1941, just announced it would zoom from zero to $18 a head. Ironically, when it comes to admissions, we’re not even talking about a huge revenue generator. Nationally, the portion of an art museum’s annual operating budget that is covered by visitors pushing cash across the counter at the admissions desk hovers in the vicinity of five percent. That’s beyond modest, relatively speaking. A charge for entry might actually make people value the museum more. After queuing and paying to get in a French or Spanish museum, you feel a certain thrill on finally entering its galleries. Perhaps our culture of free entrance makes museums seem more ordinary and detracts from their wonder. Here is the most unsayable truth of all. We pride ourselves on free museum entry because it apparently reflects a democratic belief in art for all. But is that really the reason Britain developed a tradition of free entrance? If you look at the cultural history of Britain, it is clear that until very recently we did not care much about visual art compared with, say, France or the U.S. […] In the last century our museums were free—and they were dowdy. Today they are great cultural centers—and they must stay that way. In tough times, is it better for museums to sell off their treasures, to cut back staff, to shrink and dwindle—or to charge an entrance fee? Art critic opinions aside, what about the economics around this issue of charging or not charging admission fees? Recently, Colleen Dilenschneider, a nonprofit researcher, analyzed some data to determine if free admission helps to engage underserved audiences and attract new visitors. 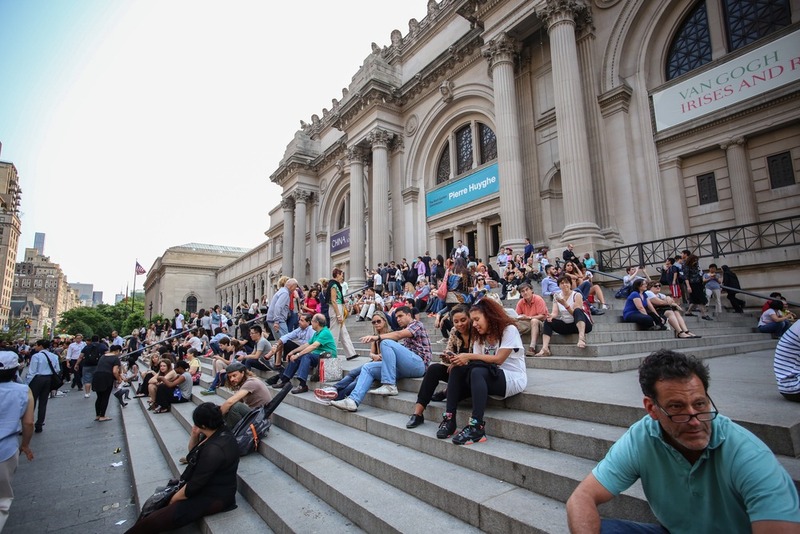 She found that when museums offer free admission, they don’t attract waves of new audiences. Admission pricing is hardly the cure-all that many imagine it to be when it comes to increasing attendance. […] We need to reevaluate our strategy for engaging new audiences because the “free admission” fix may not prove sustainable. Moreover, focusing on free general admission may be distracting organizations from cultivating more effective engagement strategies and programs for reaching new audiences.